Study these 11 specimens from six phyla to better understand three types of symmetry. 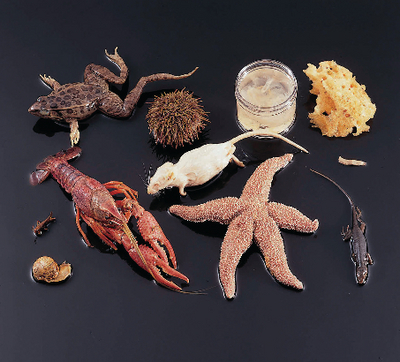 Contents: Scypha, wool sponge (asymmetry); jellyfish, starfish, sea urchin (radial symmetry); crayfish, grasshopper, snail, grassfrog, lizard, mouse (bilateral symmetry). The set of 11 is supplied in a single pail.